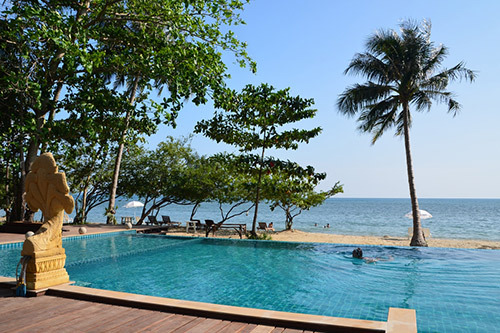 Chivapuri has one and only beachside swimming pool at the front of the Klong Kloi beach. 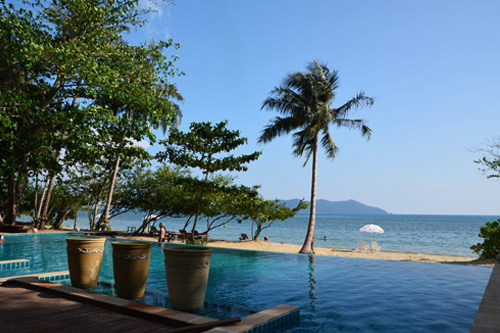 It features an infinity edge pool which provides a breathtaking view as the pool seems to “float” above the landscaping and view of the beach. 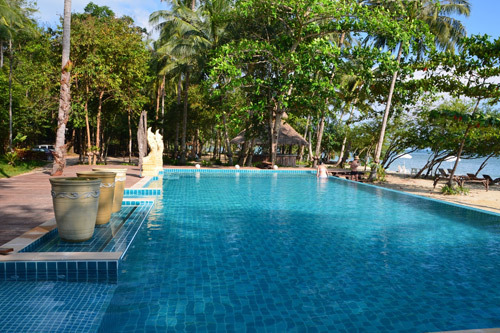 The pool area is divided into sections with different purposes to serve various uses of the guests. The depth of the pool is 1.5 meter with slanting floor upward to the children pool. Divided by permanent barrier, it has separate area for children pool which has two nagas (sand-rock sculpture of Thai serpent deities) installed as water fountain. For adults, the pool also has built-in Jacuzzi for better relaxation. The movement of the whirlpool stimulates the body's functions and encourages overall revitalization. With the salt water chlorination, you’ll be certain that our beachside pool is safe for the guest with chlorine sensitivity or allergy. 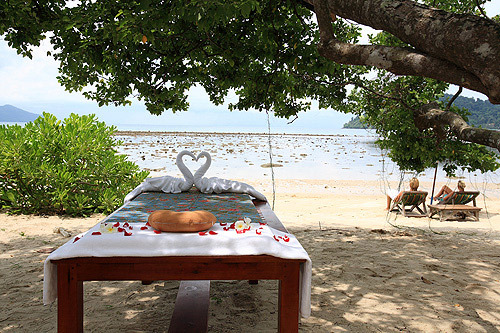 Around the pool, there are sunbeds on the lifted wood deck that our guests can take sunbath. Enjoy a premier dining experience in a relaxed yet elegant setting. Our meals are served in our beachfront restaurant of which we are very proud. Our professional chefs have years of experience and have worked in first-class hotels/resorts before joining our prestigious resort. The food served is beautifully presented and bursts with exotic flavors that combines Thai delicacies and seasonings with dishes from around the world. Our staff are always ready to serve drinks that range from freshly squeezed juices to imported highly-rated liquors. A variety of finest tea blends and rich coffee roasts are also served. Our primary and only focus is to have you enjoy the ultimate dining experience provided with an impeccable service. Dining at our restaurant is a very special feeling that we would like you to experience. 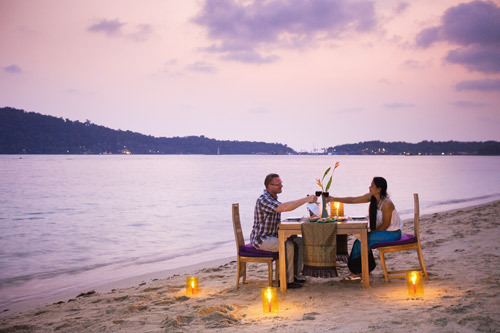 We can arrange dinner on the beach according to your request so that you can enjoy the sunset and seaview while you experience our delicious food. "The greatest mistake in the treatment of diseases is that there are physicians for the body and physicians for the soul, although the two cannot be separated.
" Body massage (which focuses on treatment of the body) is a treatment that has been found to improve circulation and reduce many common ailments such as stress, muscle tightness, aches and pains- even anxiety and depression. Passion, however, is what brings a person’s mind, body, and spirit together. Through its professionally trained Thai therapists, exquisite service, and tranquil environment, Chiva Puri Resort reflexology and massage service center focuses at providing a passionate experience to our valuable guests. A stress free ambience is what we strive for.